An informational condo blog that presents new and exciting pre-sale apartment projects in Canada and the United States. If you are looking to invest in American or Canadian real estate, this resource will provide you all the info you require to make an informed purchase decision. Here are some profile pieces on the latest Urban Capital real estate development teams’ condo launches. Featuring the master planned East Market Ottawa Condominium towers that are great choice for first time homebuyers to investors, the Mondrian Ottawa condo high-rise and the Central Ottawa condominiums for sale. 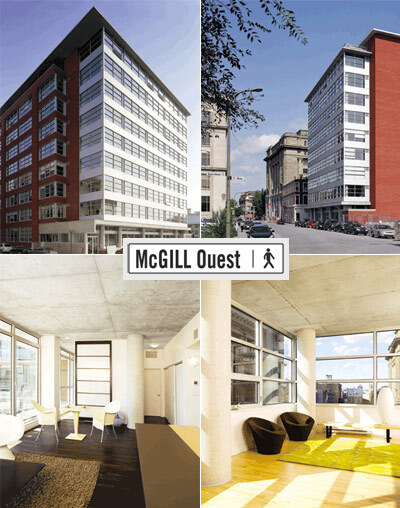 In addition, this article talks about the new McGill Ouest Montreal university apartments now completed. 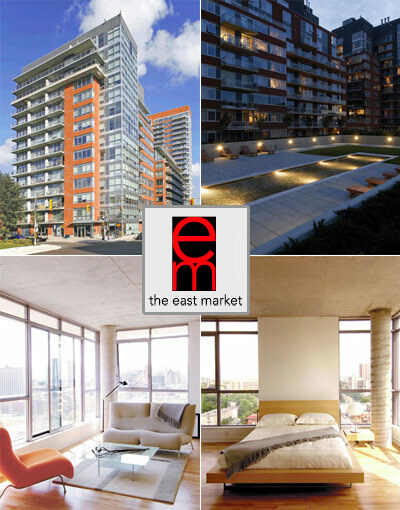 East Market Ottawa Condominiums – A Great Real Estate Investment for Torontonians? The East Market Ottawa condos by Urban Capital have been marketed as great real estate investments for Toronto residents. Located at three site addresses including 179 York Street, 383 Cumberland Street and 180 York Street, the urban Ottawa East Market condominiums feature a master planned community of four hundred and twenty market units that were built and completed over three phases. The entire Urban Capital Ottawa East Market condos are now completed. Phase One of East Market Ottawa, a great presale Toronto resident real estate investment choice back then consisted of fourteen floor high-rise tower. Phase 2 was a mid-rise at eleven stories, while Phase Three, the final phase was an even higher 23 floor high-rise Ottawa condominium tower, all built by Urban Capital and designed by CORE Architects. The marketing web site for the completed East Market Ottawa condo development by Toronto’s Urban Capital is at www.eastmarket.ca. According to the Ottawa Citizen’s Rhys of Architecture Critic, the East Market is one of the “Top 3 Buildings in Ottawa in 2003.” For Toronto residents looking for a cash floor property investment check out this development for any resale listings as the rental market in Ottawa is hot and capital appreciation is one of the best in Canada. The 420 unit master planned Ottawa condominium development at East Market by Urban Capital was built over 3 phases over several years and is located in the very trendy and recently revitalized Byward Market district. Launched back in 2000, with some marketing in Toronto real estate magazines and newspapers, the Ottawa East Market condominium real estate development was the first large scale condo project to be developed in Ottawa in a decade. The East Market Ottawa condos by Urban Capital is a new loft style development, similar to those built in Toronto, and provides sophisticated home buyers and Toronto real estate investors choices of different urban housing styles within a city that is now well known for functional floor plans, housing options etc. Because of the range of floor plans, pricing and entry level suites at the East Market Ottawa condominiums, this was the best selling launch in this market in its history. The East Market condos of Ottawa were jointly developed by Urban Capital with Doran Contractors of Taggart Group. 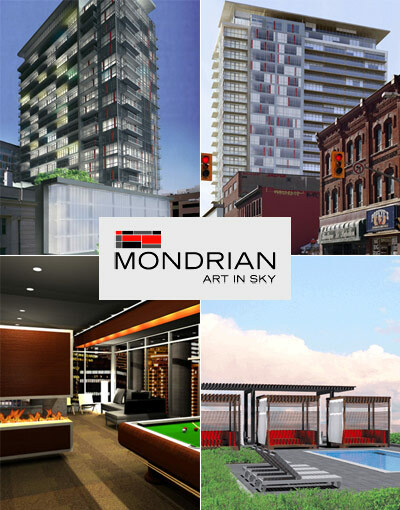 Now under construction, the Urban Capital Ottawa Mondrian condos for sale are located at 318 Laurier Avenue West and features urban and luxury condominium suites over twenty three floors. There are a total of two hundred and forty five units for sale here at the presale Ottawa Mondrian condos and the designer is CORE Architects and developer is Urban Capital Property Group. Paying homage to Piet Mondrian, a Dutch painter, the high-rise Ottawa Mondrian condo tower is built in the central business district of the capital of Canada and is notable for its very striking and unique red panes of glass interspersed among very strong linear elements as designed by Urban Capital Ottawa and CORE Architects. With 245 modern condos for sale, the Mondrian Ottawa condominiums also feature double storey penthouse suites, ground floor retail and lots of resort style amenities including and outdoor pool and deck area. The new Ottawa Mondrian condo tower portion also sits atop a five storey public parking podium, which is enclosed in a luminescent glass screen, making it look even more striking and modern. The joint collaboration of the Taggart Group’s Doran Contracts, with CORE Architects and Urban Capital have made the new Ottawa Mondrian condos possible. Located at 453 Bank Street Ottawa real estate market, the Central Condos are designed by CORE Architects (like The Mondrian and so many other Urban Capital Property Group condo projects) and are now releasing their presale marketing and advertising program. With two hundred and thirty three units for sale, the new Ottawa Central condos for sale represent truly urban, sophisticated and modern residences and was the number one sales launch in the history of the Ottawa real estate market according to PMA Brethour. Located at Gladstone and Bank, the Ottawa Citizen actually wrote an entire article dedicated to the new Ottawa Central condos for sale on April 5, 2008 that you can download online. 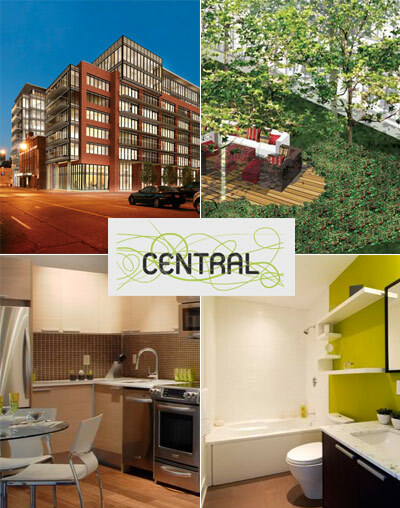 The Urban Capital Ottawa Central condo project released 233 units that are LEED Silver certified. It is a mixed use development with Central Ottawa loft houses on the main floor, retail stores as well, and residential condominium units above. There is a central courtyard and the location is at Gladstone and Bank within the trendy Giebe neighbourhood of the downtown Ottawa real estate district. The LEED Silver features of the presale Ottawa Central condos include a green roof and rain water storage, sustainable materials, car share program for residents, water efficient fixtures, mechanical system that are energy efficient and energy efficiency in the windows. Launched to the general public back in April 2008, the construction of the new Ottawa Central condos began early in 2009 and is a collaboration between Urban Capital Property Group developers and Tamarck Developments of the Taggart Group. A finalist for the Condo of the Year 2006 by Qualite d’Habitation (ACQ), the Urban Capital McGill Ouest Montreal condos for sale are now complete. The two phase project saw the design and development of new loft Montreal condominiums at McHill Ouest University apartments over 2 marketing and construction timelines. Over ten floors, the public had a choice between a total of two hundred and forty four units. The designers for the Montreal McGill Ouest condos for sale were DCYSM Architects of Montreal, CORE Architects of Toronto and interior designers Jean Pierre Viau Design of Montreal. Located between Cite du multimedia and Old Montreal, the beautiful neighbourhood along the revitalized McGill Street is home to the McGill Ouest condo building which is much like Ottawa’s East Market area that has affordable yet new loft style residences that are new to the area. The public launch started in 2003 and by 2007 both buildings were completed. The collaboration of Urban Capital and Metropolitan Parking has made the McGill Ouest Montreal condo project a success. Looking for the most luxurious new Los Angeles real estate development? The new presale LA W Hollywood Hotel and Residences is now ushering in a new era, simultaneously recapturing the immortal spirit of Hollywood’s heyday, this while infusing it with the contemporary innovation, energy, elegance and excitement that compose the signature touches of the W Hotels world wide experience. Engulf yourself in stunning scenery while living the lavish life at the pre-construction LA condos at W Hollywood Hotel & Residences on sale now. As a W Hollywood resident, prepare to always be surrounded by all the perks that make this five star hotel resort and residence luxury line of homes absolutely extraordinary, and now located in the heart of Hollywood Boulevard Los Angeles real estate market. A cornerstone of the community in its central location, the pre-construction LA condos at W Hollywood Hotel and presale residences is also stepping up in multiple ways to amp up Hollywood’s already award winning status. By creating vast employment opportunities, participating in Metro’s Joint Development Program to improve the Metro rider’s experience, brining public art installations to the corridor of Hollywood Boulevard, Los Angeles real estate market, lending a hand to the Hollywood and Vine Trust Fund and more, the pre-sale LA W Hollywood Hotel & Residences is helping to develop neighborhood oriented growth for the long term. The W Hollywood Hotel and LA condo residences for sale is certainly proving to be a neighbors that Hollywood is very happy to have. In your every arrival to this world of sophistication and glamour, one feeling will overtake you: you are a star at the new LA W Hollywood Hotel & Residences. Get ready to indulge inside the exclusive world of the luxury W Hollywood Residences for sale in the LA real estate market today. As they say, the luxury LA condo residences at W Hollywood Residences wasn’t built in a day. Much planning and team effort have been put forth to create what will be Hollywood real estate’s newest Los Angeles real estate landmark building. 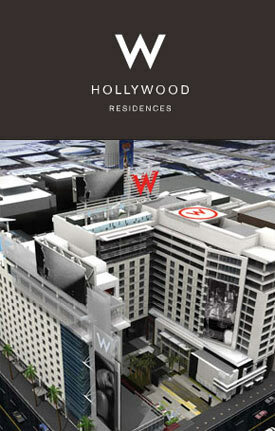 The new W Hollywood Residences for sale is bound to change the way the world views the capital of entertainment forever. Lights, camera and action! 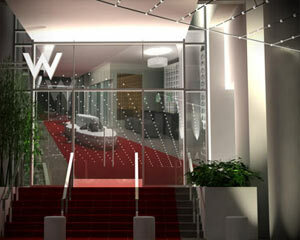 The W Hollywood LA residences for sale takes a lead role at the corner of Hollywood Boulevard and Fine. This entirely new LA real estate construction marries the posh style of vintage Hollywood with the cutting edge chic of W Hotels. A vision of interior hotel architects Architropolis, interior residence architects Daly Genik and exterior architects HKS, this sublime structure at the pre-construction LA W Hollywood Residences for sale is a contemporary complement to the classic beauty of the nearby Broadway and Taft buildings. Deftly designed to be energy efficient while maintaining a world famous level of indulgence and convenience, living the lavish life in a W Hollywood Residence LA condos for sale also means contributing to a cleaner environment and a sustainable community future for you and your loved ones. Just one sneak peek at the delicious details of a W Hollywood LA Condo Residence for sale is enough to make you realize you’ve entered yet another dimension of W Hotels. As you lose yourself to the signature refinement and convenience of these condo tower residences in the Los Angeles real estate market, it is easy to forget that these incredible interior touches at the W Hollywood Residences for sale are conserving energy and water, taking Tinsel Town one step closer to going green throughout. The gourmet kitchens at the preconstruction LA W Hollywood Residences for sale are ultimate in form and function and will include such features as Varenna Bianca Ma Quartzite countertops, Varenna kitchen cabinets by Poliform in Wenge finish as well as Subzero wine cooler which is an option as per floorplan. In addition, the pre-construction LA condos at the W Hollywood Residences for sale will feature Subzero fridge with dual refrigeration system that is energy efficient in addition to Kuppersbusch oven, stove and dishwasher that are environmentally friendly as well in this built green condo building residence. Boasting beautiful touches and designer details, the bathrooms at the W Hollywood LA residences for sale is the ultimate oasis of comfort and convenience. These new presale Los Angeles condos include Dornbracht bathroom fixtures, Duravit Carling ceramic commode and Brazilian fossilized limestone on flooring and all the surrounds. In addition the master ensuite at the presale W Hollywood LA condos for sale will feature Kohler Tea for Two soaker tub in cast iron finish as well as Kohler sink and double vanities. The closets feature a contemporary design and attention to detail that you will truly treasure. The closets here at the prestigious and luxury W Hollywood Residences LA condos for sale will feature Poliform closet systems that are well designed and laid out for ultimate functionality in addition to natural wool carpeting by Aureg and closets with Wenge laminate finish. There are two models available that includes the Poliform Ubik walk in closets or Senzafine wardrobe closets per residence. For more information about the luxury W Hollywood Condo Residences in Los Angeles California, please do not hesitate to visit their marketing web site at www.myhollywoodresidence.com today where you will find virtual tours, images, features list and other details regarding the property features and amenities. In Part 2 of this exclusive overview of the new W Hollywood Hotel & Residences in Los Angeles California, we examine the property amenities, features and the W Club benefits for purchasing a new LA condo at this most sought after address at Hollywood Boulevard and Vine. The W Hollywood Hotel & LA presale Residences is proposed to be one of the first and largest LEED certified and Built GREEN properties in the Los Angeles real estate market. It is completely dedicated to contributing to a green conscious condo community and a cleaner environment for its residents and home buyers. Nearly every facet of the pre-construction Los Angeles condo high rise towers at the W Hollywood Residences has been designed to support a sustainable future whilst maintaining the signature levels of both luxury and convenience that the W Hotel chain is so well known for throughout the world. Exceptionally high percentages of lush landscaping and open outdoor spaces defy the norms of the usual presale LA condo home and window overhangs for shade, high performance glass that keeps cool in and heat out as well as high efficiency appliances have all been designed to conserve water and energy at this ground breaking preconstruction LA condo development at the new W Hollywood Hotel & Residences. An innovatively efficient irrigation system here at the W Hollywood Residences provides for significantly less water usage throughout the year and not only is recycling encouraged, but most of W Hollywood LA residences for sale has been constructed from locally manufactured and post industrial recycled materials to reduce the environmental footprint of this large scale LA real estate development. Residents at the new LA W Hollywood Residences for sale can delight in a diva moment by just calling the Bliss Spa at W Hollywood where you can get a masseuse in just seconds. Nationally renowned rejuvenation right at home is available here at the prestigious Los Angeles W Hollywood Residences now selling. IN addition to the long list of soothing superstar Bliss Spa treatments at W Hollywood LA residences for sale, the building amenities also offers in home services and tones of perks for homebuyers. Treat your body like the temple it is. Bring out the glamorous glow and get physical at Sweat Fitness W Hollywood Residences, the premier fitness club of W Hollywood Hotel & Residences in Los Angeles real estate market. You’ll glisten like a star after a workout on any one of the endless array of shape up options, including top of the line equipment and free weights. With everything from W Hollywood personal traiing and yoga to Pilates and more, Sweat Fitness at LA W Hollywood Residences has every choice for a one of a kind workout at any time of day or night. And keep in mind, maintaining the body beautiful is all so convenient. With a location in the W Hotel, as well as in the W Hollywood Residences in LA, your own personal fitness club is always within reach, just another reason to purchase a luxury Los Angeles presale condo here. As a W Hollywood homebuyer, your personal living space extends well beyond your door. The W Hotel Living Room which is available for resident use offers the luxury of a stylish library and game tables as well as a state of the art music system for your enjoyment and pleasure. Check out fashion trunk shows or indulge in wine tasting and fine cinema while experiencing just a taste of the endless and exciting events always taking place at the fabulous new W Hollywood LA Hotel & Residences real estate development. What better way to dance the night away than in hot Hollywood style right here at the W Hotel where there is an exclusive night club just for you. With a crystal clear pool cover that doubles as a dance floor at the W Hollywood Hotel & LA residence condos for sale, you can showcase your sultry moves while dancing with the stars! And the VIP ground floor lounge at W Hotel and Residence gives you ultra exclusive access to the nightclub’s insiders only rooftop bar. Of course as a resident of the pre-construction Los Angeles W Hollywood residences, you’re the most important VIP of all. 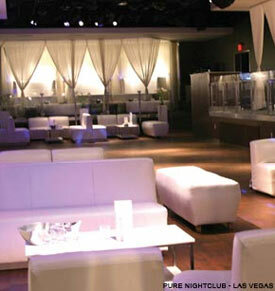 In addition, the silver screen awaits you with the backdrop of the Hollywood Hills. See the greatest stars in this city under the stars when you settle in and experience the wonders of the one of a kind Show. Combining the casual, California outdoor courtyard dining experience with that of the ultimate movie theater, The W Hotel Show’s main feature is that of a monumental movie screen that faces the thirty five hundred sq ft outdoor lounge, again exclusive to homebuyers and pre-construction LA condo purchasers at the new W Hollywood Hotel & Residences. With a view of the stunning LA skyline, relax at W Hotel WET, the resident only pool in privacy as you bask in the afterglow fo the night. Landscaping at the pre-construction LA W Hollywood Residences is by Rios Clementi Hale Studios. Live From Hollywood. Join W Hollywood Residences on set for a preview of the town’s most exclusive address. Call 323.469.8800 for a private tour of the Los Angeles W Hollywood Residence Welcome Center, by appointment only. Located at 6282 Hollywood Boulevard, Los Angeles real estate market has never been the same since the launch of the W Hollywood Hotel & Residences, so check it out today before they are all sold out! The pre-construction San Francisco Union real estate development by Palisades Developers is a new urban community that will feature new San Fran loft style apartments, boutique town homes and urban flats for sale. Located between two of the most celebrated and prestigious neighborhoods of Potrero and Mission, the Union San Francisco condos by Palisades is garnering much attention and many awards for its development and design concepts that will feature affordable urban condo living available to first time home buyers to professionals and to families. With a seamless blend between the modern yet sophisticated architecture of the Union San Francisco real estate community with the historic landmarks that surround both Mission and Potrero, Palisades property homebuilders certainly delivers when it comes to luxurious living spaces, spacious and functional floor plans, impressive interior features and community amenities. The pre-sale San Fran Union condos and loft apartment community will consist of two buildings next to each other which were originally built more than 100 years apart from one another. However, both residential buildings called Union North and Union South in San Fran real estate market are connected by a central courtyard the seamlessly blends the two modern residential buildings into one friendly and safe community. The presale San Fran Union South condo building will offer fifty three (53) completely new San Francisco townhomes and urban flats for sale. On the other side at Union North San Francisco condominiums, the residential building will be converted from an existing turn of the century brick and timber warehouse to twenty three (23) luxury loft style San Fran residences for sale. Many of the unique historic features of the building both inside and out will be kept to keep the history and heritage feel of the space alive for another century. Located at Bryant Street between 19th and 20th in San Francisco real estate market, the Potrero and Mission lofts, townhomes and urban flats at Union North and Union South are now available for purchase. Again, balancing both the historic nature of the Union North condo building with the completely new and modern Union South townhome and flats was a challenge that Palisades builders didn’t shy away from. The interior features and finishes of both the San Fran Union North condominiums as well as the Union South San Fran town homes are perfect in every way and will be richly appointment. The functional floor plans are absolutely well designed and the interiors of the Union San Francisco real estate offerings will contain gourmet chef style kitchens, lots of different layouts to choose from, expansive views, large windows and lots of space for you to design and create your own style and designs. Located in this eclectic community, the presale San Francisco condos at Union North and South definitely reflect timeless features with elegant countertops and detailed custom built cabinetry that are accentuated with premium fixtures and appliances. A level of detailed craftsmanship is seen throughout, and which is sorely lacking in many new pre-construction San Jose condo projects at this time. But not here at the Potrero and Mission San Francisco Union condos and loft development. The bathrooms at the Union North and South residences in San Fran will feature Ann Sacks tiled flooring and surrounds, white Carrera marble counter tops throughout as well as a deep Kohler soaking tub. The kitchens at the San Francisco Union condominiums will feature Ann Sacks back splash, exotic Brookside wood veneer cabinetry custom built for your home as well as a Viking suite of stainless steel appliances, which are only the best on the market. Also available in the kitchens are striking white Carrera marble countertops which give the kitchen the finishing touches for elegance, entertainment and sophistication. The pre-construction San Francisco Union by Palisades is truly situated in the crossroads of two of the city’s most sought after neighborhoods, Mission and Potrero. You will find a wide range of restaurants, cultural activities, nightlife, services and amenities in and around this authentic San Fran neighbourhood. The presale San Fran real estate development team consists of Palisades Developer, Pacific Marketing Associates who are the exclusive sales and marketing team for Union South and Union North condo flats and townhomes for sale as well as Kenneth Brown Design for model unit merchandising and SB Architects. There are a number of one bedroom San Francisco Union one bedroom condo floor plans available on the first floor that includes Units 101, 102, 103, 105 and 107 in addition to second floor units 202, 203 and 205 and finally level three unit 305 which is the only 1 bed unit on the penthouse level of Union North San Francisco real estate development. There are definitely fewer two bedroom Union North condos for sale that includes Unit 104 and 106 on the first floor, a few on the second and only Unit 309 on the penthouse floor. The spacious and family sized three bedroom San Francisco Union North condominiums for sale are all featured on the penthouse third floor (none on the bottom two levels). The Union South San Fran residential condo building features a lot more units for sale that include loft style apartments as well as townhomes for sale. The Union South building will feature four floors of residential units. For more information about the Union San Francisco condo development as well as downloadable PDF floorplans for both the North and South buildings, please visit www.union-sf.com today. Having launched last year to rave reviews, the new presale San Jose condos at The Works (Homes for City Living) are now relaunching marketing and sales for their remaining unsold units. Located in the heart of Silicon Valley San Jose real estate market, The Works homes and condo apartments are literally within the center of it all. With modern amenities, sophisticated services and much more, the presale San Jose condos for sale at The Works SJ are located beautifully on a tree lined street. 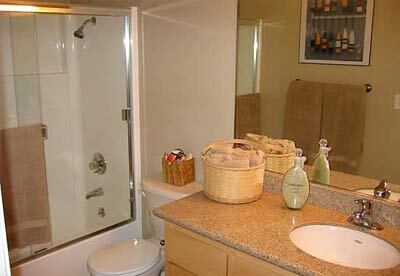 You will find a great variety of both one and two bedroom Works San Jose condominiums for sale. In addition, some of the Works Apartment floor plans will have one or two storeys (multi-level residences) depending on the desires of the condo buyer. The Works San Jose definitely has a defined and unique exterior architecture that is both contemporary as well as West Coast style. Some of the impeccable location features of the presale San Jose real estate development includes the proximity of the San Jose Works condos to the International Airport that is literally just 10 minutes away from your doorstep. In addition, Silicon Valley residents who need to get to and from various areas of the region can take Freeways 101, 680, 280 and 87 to get around the Bay Area. The presale San Jose condos at The Works Silicon Valley condos will also be within a few minutes walk to the Historical Park as well as the Kelly park green spaces and Japanese Gardens. For those who want and need urban amenities to be close, the Works San Jose presale condos will be just seconds away from the hub of the city’s downtown nightlife in addition to entertainment, sports venues, shopping, fine and casual dining so that you are literally in the heart of all the action. 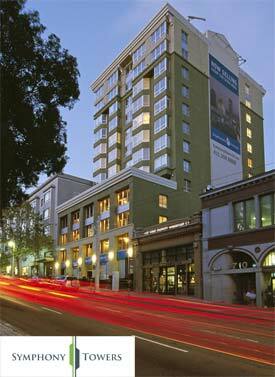 For those needing to travel to the San Jose State University or downtown San Jose, the Works Condo apartments are also conveniently located close to both of them. In terms of the San Jose real estate district in which the Works Condominiums are located, it is called the Martha Gardens neighborhood which is an up and coming community full of life, eclectic boutiques, exciting nightlife, secure, pedestrian friendly streets and new housing. What’s also unique about this low-rise presale San Jose Works condominium building is that many homeowners will have direct street access to their entrances, or walk-ups. Also available at the Works San Jose condo community are various landscaped green spaces and an interior secluded courtyard. The building also has an elevator. There are a few customization options available at the new San Jose real estate development where potential homebuyers can choose from various upgrades for tile, carpeting and flooring throughout their new home. In addition, standard features in the San Jose condos for sale will include hard wired smoke detectors, low flow toilets for water conservation, fully insulated exterior walls for sound proofing and heat/cool air exchange in addition to dual paned energy efficient windows. Other interior features at the presale San Jose condominiums include hot water include with the Home Owner Association fees as well as individually controlled central heating and cooling which is very energy efficient and will save you a lot of money short and long term. The bathrooms and bedrooms at the Works San Jose presale condos will include such finishing touches as expansive closet space with lots of storage in mind, tiled tub and shower surrounds, tiled bathroom flooring, granite/marble vanities with brushed chrome Moen faucets and maple shaker style cabinetry throughout, giving your new home a very modern and clean look and feel. For those looking for in suite laundry with optional washer/dryer (stacked), the pre-sale San Jose Works condos definitely gives you the convenience of either a laundry closet or room. There is a fridge space preplumbed for an ice maker, stylish polished Moen chrome faucets, dual compartment stainless steel sink, and granite slab counters. Other kitchen features include maple shaker cabinetry, built in microwave oven, stainless steel kitchen appliances and under cabinet task lighting to brighten up your work space. The presale Works San Jose condominiums will also feature Cat5 telephone pre-wiring and TV cable in the bedrooms and the living room in addition to phone lines. There is upgraded interior finishes and hardware available as well as overheight nine foot ceilings throughout. The Amherst Works condo floor plan features a loft residence with one bedroom and 1.5 baths. The Bowdin is a studio layout with washer/dryer laundry closet, a full bathroom, open wall kitchen and small alcove for your bed. The presale San Jose Works condo Cambridge floor plan will feature one bed and one bath with lots of closet space plus a balcony of the bedroom. The Dartmouth floorplan features two bedrooms and 2 full bathrooms in addition to a tech alcove for your computer or desk. There is also a balcony that is accessible by the second bedroom or living area. The Emerson floorplan at the Works San Jose condos features a 2/2 with huge dining/living area, u shaped gourmet kitchen, large bedrooms and double vanities. 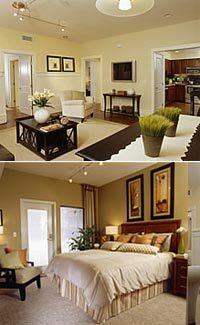 The 1/1 Franklin plan is much like the other one bedroom layouts, but with a walk in closet. The Georgetown Works condo floorplans features 2 bed and 2 baths. No actual sizes for the layouts are presented online. For more information, please visit The Works San Jose Sales Office that is located at 125 Patterson Street in San Jose, CA. Call 408.288.8826 or visit www.theworkssanjose.com for additional details of this condo development. The San Mateo Park Bayshore Townhomes are Now Here! If you are looking for a luxury pre-sale Silicon Valley townhome for sale, the new San Mateo Park Bayshore townhouse development will certainly open your eyes to a new community project that is making waves in the San Mateo real estate market. These luxury San Mateo townhomes at Park Bayshore property development features a central Peninsula location along Silicon Valley and within close proximity to downtown San Francisco and the entire Bay Area. With standard features that are optional upgrades in other San Mateo real estate developments, the luxury Park Bayshore townhomes are developed by world renown Barry Swenson Builder, a trusted local developer. 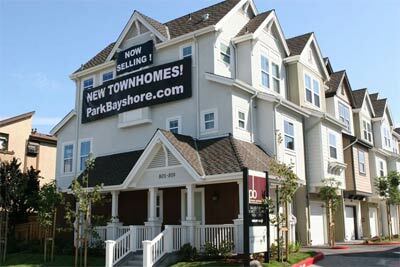 For home buyers looking for great value, affordability and location, the Park Bayshore San Mateo townhomes for sale will offer luxury finishing in every residence complete with granite, stainless steel and shaker finishes throughout the homes. With the grand opening this year, the pre-construction San Mateo townhouses are now offering VIP registration to potential and interested homebuyers. A small presale San Mateo real estate development at Park Bayshore is taking shape and this boutique collection of townhomes features only about twenty residences for sale with lots of green spaces, living space and external entertainment space. The community of San Mateo Park Bayshore homes for sale is certainly convenient. With direct access to the Bay Area including Silicon Valley and San Francisco, the Park Bayshore townhome residents will be within minutes of work and play. Within the townhouse community, there are numerous daily services, amenities, shopping, dining and nightlife that will also keep you busy throughout the year. For residents seeking a great location for recreational activities, San Mateo real estate district is certainly an awesome area for all of our outdoor pursuits. The community is also very pedestrian and family friendly, and the San Mateo California area is rated as one of the healthiest places to live. Ready To View Their Model Suite at Park Bayshore San Mateo? For more information regarding the presale Park Bayshore San Mateo townhouses for sale, please call 650.239.8008 and speak with a representative from The Reiser Group. You can also visit the Park Bayshore townhome presentation center and sales office that is located at 821 South Bayshore in San Mateo, California. In addition, you can visit their sales and marketing website online at www.parkbayshore.com where you will find more details regarding living at Park Bayshore townhouses, features, floor plans, the community and pre-qualification for mortgage details. If you are looking to get pre-qualified for your mortgage to purchase a new San Mateo townhome at Park Bayshore real estate development, you can follow the preferred lenders that include Bank of America and Wells Fargo as the primary partners or Golden State Lending as the secondary choice. The pre-qualification form is available for downloading online. Model gallery pictures and images are also uploaded now. More information is gradually being uploaded and sent to interested parties as the sales and marketing starts to roll out this year. In terms of what a homebuyer will get from the pre-sale San Mateo townhomes for sale, do not worry as a prospective purchaser. The developer has integrated deluxe and high-end features throughout the new residences at Park Bayshore San Mateo real estate development that includes standard finshings like two car, private parking garage with direct access into the homes, attractive townhome floorplans and layoust with tonnes of storage and functional spaces as well as private outdoor living areas that you can enjoy year round. Also available at the pre-construction San Mateo townhomes includes washer and dryer hook-ups in suites as well as private storage inside your home. The bathrooms at the pre-sale San Mateo Park Bayshore townhomes for sale include designer selected fixtures and faucets, water efficient shower head and toilet in addition to designer selected wood shaker cabinets that are custom built for this project. These San Mateo townhomes will also have slab granite counter tops, and well appointed 12x12 ceramic tiling on the floors (although the 2nd floor Park Bayshore homes for sale will have faux wood vinyl flooring). The impressively large and spacious kitchens at these San Mateo townhomes for sale will include two designer color packages for homebuyers to select upon contract writing in addition to new stainless steel under mount sink. Shaker cabinetry, stainless steel appliance package, chrome faucet with single level pullouts and slab granite counters are other great features presented here. 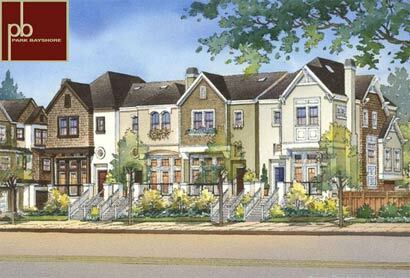 There are currently seven different townhouse floorplans presented at the San Mateo pre-sale Park Bayshore development. 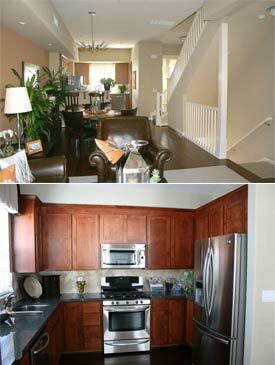 Plan A, A2 and A3 are all two bed and 2.5 bathroom townhomes for sale that feature 1230 square feet of living space. The Plan A3 can also be an end unit with more windows along the side. Floor plans B, B2 and B3 are all the three bedroom Park Bayshore San Mateo townhomes for sale and will feature 2.5 baths and layout sizes at 1775 square feet. Here is the latest offering from Barry Swensen Communities, one of the most prestigious and well known offerings in the California real estate market. These pre-sale Santa Cruz condos for sale at Swan Lake Condos are attracting many homebuyers seeking a great waterfront location, convenience, value and affordability. With pricing that reflects today’s Santa Cruz real estate market pricing, the presale Swan Lake condominiums are located just four blocks away from the Pacific Ocean, where you can sit and gaze out at the beautiful waters, stroll along the beach, entertain friends and family and look at the impressive views. Redefining urban condo living in the heart of Santa Cruz Swan Lake Condos is just five minutes away from the beautiful Twin Lakes Beach community in addition to Santa Cruz Harbor where you will find tonnes of attractions, restaurants and shopping. Best yet, the new Swan Lake Santa Cruz condos for sale start from an incredible price point of just $289,900 (two hundred and eighty nine thousand, nine hundred US dollars) which makes for a great short term and long term real estate investment for first time homebuyers, downsizers, families and retirees. In addition, the homes here at the new Swan Lake Condos in Santa Cruz real estate market are just next o Schwann Lagoon. The sales and marketing team includes Interio Real Estate Services and as mentioned above, the Santa Cruz Swan Lake condominiums are brought to the public market by Barry Swensen Communities. If you are looking to move to the peaceful and quiet community of Santa Cruz California, the new presale Swan Lake Condos can be a great home for you. If you would like more information regarding this pre-sale opportunity along the Pacific Coast, please visit the Swaw Lake Condos Sales Office which is located on site at 755 14th Avenue, Santa Cruz CA. The presentation suite and sales office is open from Friday to Tuesday from ten to five. You can also call ahead to book a private viewing if you like, and the phone number to reach a sales rep at the pre-construction Santa Cruz condos at Swan Lake is 831.476.8897. Alternatively, you can read more about the features and floorplans, community and neighborhood, financing and pre qualification information online at their sales website online at www.swanlakehomes.com. The preferred financing for the Swan Lake Santa Cruz real estate development includes Bank of The West (contact is Jason at 2020 North Pacific Avenue in Santa Cruz, CA) as well as MetLife Home Loans (contact is Karen at 2160 41st Ave, Ste 101, in Capitola, CA). The sales team also asks potential homebuyers to ask about the Measure J Program available on new condominium purchases. As one of the most desirable areas to live in all of California, and the United States, the Santa Cruz real estate market has bucked the trend during this global financial crisis. Not only that, but housing prices are rebounding very quickly, giving homebuyers at the pre-sale Santa Cruz Swan Lake Condos a head start in creating long term wealth and gains in their largest single investment in their lifetime. Visit the website to view photos and images of the community and of the development today. 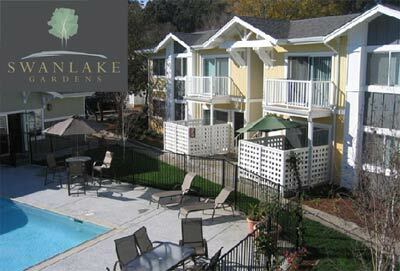 The community itself presents a unique benefit to home buyers at the Swan Lake Condos in Santa Cruz, California. Residents can enjoy a private pool, clubhouse, sauna as well as fitness center on site. Also, all suites here at the Santa Cruz presale condos will feature solid core entry doors with stain chrome handset, hand laid entry tiling in select suites, two panel interior doors, telephone outlets, pre-wiring for cable tv and internet, plush carpeting in the bedrooms and pad in addition to two tone paint colors throughout the new homes for sale. In addition, the master ensuite bathroom and bedroom at the pre-construction Santa Cruz condos at Swan Lake will introduce designer selected fixtures/faucets, frameless mirror, water efficient shower head, medicine cabinetry and custom stained cabinets. Also, there is twelve by twelve ceramic tiling in the bathrooms in select floorplans and a ceiling fan in the master bedroom. 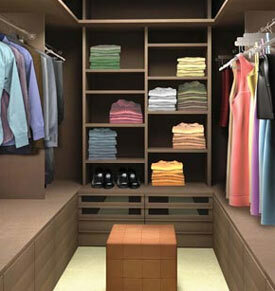 Organizers and large walk in closets are also available in some floor plans. As far as the kitchens are concerned here at the pre-sale Santa Cruz condos, you can expect to find granite counters with four inch back splashes in addition to beautiful satin nickel light fixture, ceiling fan in the dining nook area as well as sleek s/s single bowl sink. 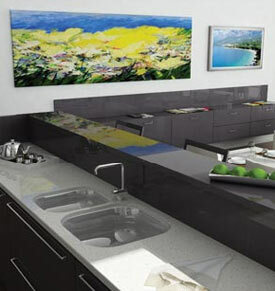 There are stained custom cabinets in addition to an appliance package included as a standard feature. The floor plans for the presale Swan Lake Santa Cruz condos include Layout A which is a ground floor unit with a large patio and is 1 bed/1 bath with six hundred square feet of living space. Floor Plan B is 750 square feet in size, and features two bedroom and one bath layouts. These new Santa Cruz condos are located at 755 14th Ave Santa Cruz, CA. Celebrating a new way of urban San Francisco condo living in the heart of the city, the new Symphony Towers condo development now under construction makes life simply easier. Incredible downtown San Francisco condo living at an affordable price is now available for purchase at the pre-sale Symphony Tower residences and luxury condominium homes for sale. Just several steps from city centre, the Civic Center, the San Fran Symphony as well as City Hall and all the cultural sites, the presale Symphony Towers San Francisco condo apartments are now selling with tax credits available with purchase to new homebuyers. If you are looking to downsize, the new San Fran Symphone Towers apartments are a perfect blend of spacious living and low maintenance lifestyle. For those upsizing, these downtown San Francisco condos for sale are simply larger and more functional compared to other offerings. 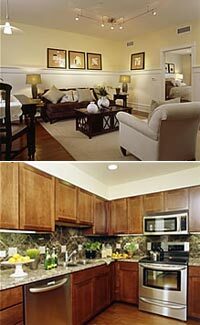 For first-time San Fran homebuyers, the new Symphony Towers apartments are affordable, well located and great value. With low maintenance and convenient living, live close to major thoroughfares as well as public transportation routes. If you need to live or work in the Financial District or Chinatown or if you need to go shopping, dining or if you are seeking nightlife or the entertainment districts, the downtown Symphony Towers San Francisco condominiums will be your perfect starting point for a vibrant and exciting life. Be close to everything. Purchase at the best available price points right now, here at the pre-sale San Francisco condos at Symphony Towers. San Francisco real estate is on the rebound, and the new Symphony Towers condo apartments in downtown San Fran are clearly the best value that money can buy today. Not only are you guaranteed some of the most luxurious interior detailing and finishes, but the pre-sale San Francisco Symphony Tower residences will also present a great number of amenities within the building itself. Refined living with relaxing outdoor spaces and modern interior design are just some of the design and planning details that the developers have well thought out for this development. Some of the urban amenities here at the pre-sale San Fran Symphony Towers apartments for sale include expansive bay windows in all condominium residences in addition to impressive skyline views from all angles. In addition, there is a landscaped courtyard and beautiful fountain in addition to a resident only landscaped roof top deck with stainless gas grille for those outdoor BBQ parties. In addition, the pre-construction San Fran Symphony Towers condominiums will also have elegant custom lobbies with maple and slate finishes in addition to a controlled access garage with secured parking. There is state of the art security building access in addition to city CarShare location available to all residents at the new Symphony Towers San Francisco condo development. Stainless steel appliances by Miele and Whirlpool will grace the kitchens. The roof deck is a private outdoor oasis where residents can enjoy each other’s company, or you can invite your friends and family over for incredible views and sunsets. 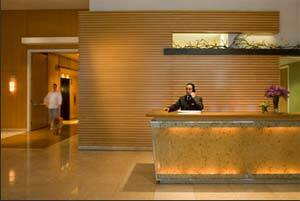 The entrance lobby is urban chic minimal in nature and there is a key fob access that is quick and secure. The new Symphony Towers San Francisco condo building will have a central courtyard that is quite idyllic and very serene. Located in the downtown core at 750 Van Ness Avenue San Fran, these condominiums are surely selling out quickly. If you are looking for spacious layouts with studio, one, and two bedroom homes, the new San Fran Symphony Towers residences will give you a great selection and many options to choose from. Intelligently designed functional spaces don’t waste any room, allowing you to maximize your living space. At great prices, the pre-construction San Francisco Symphony Towers also allows for tax credits for new purchases right now. The San Fran real estate development team will consist of Van Ness Towers LLC, the developer, WBB Construction Inc. the construction manager and Christiani Johnson Architects. Also part of the collaborative team is Nishkian Menninger, structural engineer and Pacific Marketing Associates for sales and marketing. For more information about the pre-sale Symphony Towers residences in San Fran, please call 415.359.9888 or visit www.symphonytowerssf.com today for all the floor plans, features, image gallery and amenities lists. Close to numerous hot spots for eating and drinking including Absinthe, Vertigo, Trader Vic’s, Jariniere and Zuni Café, these San Francisco apartments for sale are affordable and well built. In addition, you can be just minutes away from tonnes of fitness gyms, yoga studios, kick-boxing and the Great American Music Hall. In terms of cultural activities, the pre-sale San Fran Symphony Towers condos are close to SF Ballet, SF Opera House, Davies Symphony Hall, SF Conservatory of Music, California Culinary Academy, SF City Hall, Asian Art Museum, Herbst Theatre, SF Public Library, Space Gallery and the SF Performing Arts Museum. Located at 600 Mission at Third Street, the new luxury Paramount apartment rentals represents a new offering in the San Francisco rental market unlike any other building you have witnessed. A Related Rentals, the SoMA San Francisco Paramount Condos for Rent are a towering forty three stories above Yerba Buena Gardens. Metropolitan lifestyle is waiting for you at the SoMA San Francisco Paramount apartment rentals that provide sweeping views of the Bay Area in addition to the mountains and represents luxurious condos for rent in an unbelievable location. To date, the Paramount San Francisco rental condominiums SoMA are the tallest, and most dramatic rental building in all of the city and all of its history, which says a lot about this spectacular Related Rentals SoMA building. With unprecendented RelatedStyle Services in addition to breathtaking views, take a stab at renting one of the most sought after rental apartments in all of San Francisco rental real estate at The Paramount at 600 Mission at 3rd Street. You can’t get any more convenient then this address! The building itself present the tallest and most luxurious residential rental suite building in the entire city and Bay Area. At 43 levels, the new San Fran Paramount apartments for rent are truly some of the most breathtaking and prestigious condominium rentals ever to hit the market here in San Francisco real estate market and located in the heart of SoMA, it cannot be more convenient then this. A great combination of style and amenities hit you right away, with elevation, altitude and location, putting you in the centre of everything that is exciting in this city. The new SoMA Paramount rental apartments are definitely one of a kind and you will experience the most outstanding panoramas and vistas views from your own private apartment condo. In addition, the floor plans come in a wide variety of studio plans, one bedroom and two bedroom rental apartments, with many corner condominiums for rent. The San Francisco Paramount SoMA apartment rentals also feature wall to wall oversized windows, granite countertops and finishes, chef kitchens and spa inspired bathrooms. 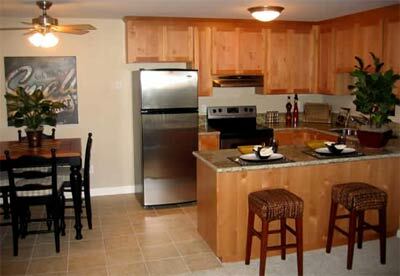 Also featured are real oak flooring in the living areas and also a huge array of community amenities. The SoMA Paramount San Francisco rental apartments feature the newest height of luxury conveniences that include an amazing pool deck area with cabanas and lounging area. Also present at the Paramount condo rentals is a state of the art fitness club and a spacious business center that is fully equipped and ready for you to work out of. The SoMA district is a haven for rental apartments, but none are as luxurious as the Paramount San Francisco high-rise tower condos. 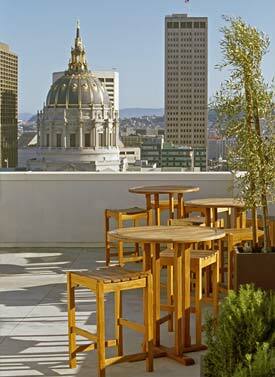 SoMA is well known for its eclectic mix of shopping, high-end dining, nightlife, clubs, groceries parks and much more. Also, the best feature of living and renting in SoMA district is that you are above Yerba Buena Gardens where you will see the city skyline at night light up. SoMA District is also just minutes away from the Financial District, Union Square, SFMoMA, and the Muni which means that you can get to everything for work and play in just minutes. For a quick sampling of the views from the heights of the rental Paramount apartment condos in San Francisco SoMA district, please visit http://www.theparamountsf.com/theBuilding/views/views.htm. For all the rental suite floor plans, please visit this online Flash engine that displays all the layouts online at http://www.theparamountsf.com/theBuilding/floorplans/floorplans.htm. For more information about this Related Rental, please visit their on site office at the Paramount apartment rentals at 680 Mission at 3rd in San Francisco CA 94105 or y ou can call 415.227.0680 anytime for more details. 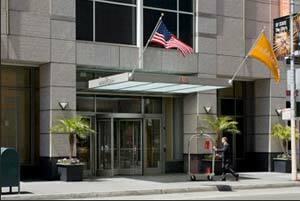 By submitting your interest in renting online at the San Francisco luxury Paramount SoMA apartments website at www.theparamountsf.com, you can get up to date information about the latest availabilities for the suites you are most interested in. You can also check back at http://www.theparamountsf.com/admin/inven/web_avails.cfm for the most updated list of rental vacancies at The Paramount San Francisco rental condominium homes. The pricing chart for the new studio suites start from $2,250 per month while the SoMA Alcove Studio plans start from $2,300. 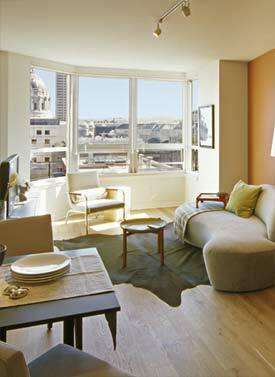 The one bedroom rental apartments at the San Fran Paramount residences start from $2,695/month. The corner 1 beds start at $3,195. 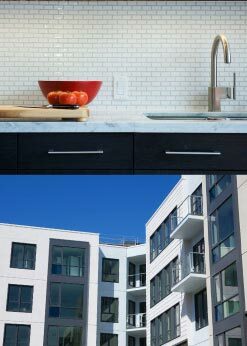 Lastly, the ever spacious SoMA two bedroom Paramount rental San Francisco apartments start from $3,995 per month. These prices are subject to change by SoMA Related Rentals anytime. Located in the waterfront and beachfront district of South Beach in beautiful San Francisco California, the Shore Line Condominiums (also known as ShoreLine presales condos) are now open to the public for release. Inspired modern living that is reflects the historical past and designed for tomorrow, this modern living of today at the ShoreLine Condominiums in South Beach San Francisco is the latest in presales condo San Fran properties to reach the market for public release. Very rarely do you find a traditional and well planned condo community with such historical and modern features that blend in so perfectly than at the ShoreLine San Francisco condominium homes. It’s special and the San Fran Shore line built on the historic 1857 Shoreline of Old San Francisco is where inspired modern living now meets the historic importance of this city’s heritage. Welcome to the Shoreline presales condos in California, you won’t be disappointed. Inspiration, woven into every element is what the San Francisco Shoreline condominiums along the oceanfront say about this presales real estate property. Inspired by the sea and designed for the city and urban living, the neighbourhood of South Beach has sparkling appeal and these nine original residences along the beachfront of San Francisco at Shoreline condos provide unique spaces from open rooms to functional kitchens and bathrooms and with views of the Embarcardero district waterfront and the Rincon Hill skyline. The residents at Shoreline San Fran condominiums will be part of the extraordinary South Beach district that is both inspiring and exclusive, as seen in the small offering of Shore Line nine luxurious presales condominiums here. The nine sophisticated Shoreline presales condo properties in South Beach will provide one, two and three bedroom residences all with central heat and air conditioning to name a few features up front. The ShoreLine neighbourhood speaks for itself, a perfect location where land meets water and part of the dynamic South Beach district of the most beautiful city in the world, San Francisco. With South of Market and more just around the corner of San Fran South Beach Shoreline condominiums and presales properties, you can be inspired by the various shops or restaurants, nightlife and clubs or whatever you enjoy most. An enviable location that South Beach Shoreline condos are located is close to all major transportation routes, with an exclusive address on historic brick Federal Street and with expansive views of the Bay Bridge, Rincon Hill skyline and the South Beach skyline as well, residents at Shore Line condominiums in South Beach will be just across from the Embarcadero waterfront areas, Farmers’ Market, Ferry Terminal, Mission Bay and King Street in addition to all the nautical and water venues of the South Beach Marina district. The real estate developer for the San Francisco Shoreline South Beach condominium suites is McArdle Interests, LLC and ACHILL design and development which are very sensitive to quality design, construction and long term value of the real estate properties here at Shoreline. The preferred lenders for the Shoreline South Beach condo homes in San Francisco includes Washington Mutual Bank (Eliza Wu at 1.415.242.6304) and Wells Fargo Home Mortgage – Builder Division (Deborah Byrne at 1.415.247.1252). The San Fran Shoreline condominium residences are offered by South Beach Real Estate (Jason Murges, senior sales associate at 415.437.9797) and the contractor is Tycon Builders inc. The Shore Line real estate marketing on the website of Shoreline South Beach condos is Premis, LLC and the renderings are provided by PowderHaus Studio, LLC. If you would like to contact a sales rep on line through the San Francisco beachfront South Beach Shoreline condos web site, please visit http://www.shorelinesouthbeach.com/. Located at 41 Federal Street in San Francisco, CA, the Shoreline condos in South Beach are selling quickly, so please contact their senior sales associate today for the details. The web marketing explains: room to move, room to breath, room to be. These luxurious South Beach Shoreline condominiums are modern, clean and harmonious, as well as provides expansive ten foot ceilings, large windows and inspirational rooms that provide excellent views of the city. Some of the interior features of the San Francisco ShoreLine condos in South Beach (also known as the presales Shore Line condominium suites) includes European built kitchens with central kitchen islands (very functional), spa-inspired master bathrooms, rich walnut hardwood flooring, generous private decks off of the living rooms and additional private balconies off master bedrooms. There are various Shoreline floorplans available include Plan 21 that is one thousand three hundred and sixty five sq ft with two hundred and seventy seven private terrace, two beds, two baths, office and studio becker kitchen. No. 22 at the Shore Line San Francisco condominiums includes 921 sq ft with 245 sqft terrace, one bed, 1.5 baths and a living/dining room in addition to the South Beach Shoreline No. 23 that is a spacious sixteen hundred and seventeen square feet interior with three hundred and thirty eight square foot private terrace and three beds and two baths with a den. The No 31 plan at the Shoreline South Beach condos includes 1060 interior and 295 exterior with one bed, 1.5 bathrooms and No. floorplan 32 is 921 with 70 and No 24 condo residence presales San Francisco property at Shore Line is fourteen hundred and twenty three square feet with a two hundred and sixty five sq ft private terrace and two and two. The remaining three floroplans in this exclusive nine condominium property development at the South Beach Shoreline condos in San Francisco are online. A new Mattamy high-rise condo development is rising at the pre-construction Brampton Rhythm condominiums and urban lofts for sale. Ranging from studio plans to one and two bedroom Brampton condos for sale to Mattamy lofts that are two storey and truly spacious, this new Brampton real estate project is making waves in the news and advertisements. Affordable urban living is now available at the Brampton Rhythm condo homes. Some of the great Mattamy features here at this new condo project will be featured below including the security that includes a 24 hour concierge at the front desk with state of the art surveillance video monitors. In addition, there will be two way voice stations form the parking garage to the concierge desk for your safety. In addition, there are personal pendants with emergency panic buttons here at the pre-construction Brampton condos at Rhythm condominiums and urban lofts in addition to bright lights in the underground garage and enterphone system at the front entryway to buzz in your guests. All Mattamy Rhythm Brampton condos will have hard wired carbon monoxide and smoke detectors. The Rhythm Condos and Lofts in the Brampton property market features a downtown address that is within walking distance to all the everyday services and conveniences that you need to get to. Featuring live theatre, music, parks and lots of activities outside, the pre-construction Brampton Rhythm Condos and urban lofts for sale will feature a great mix of urban amenities as well as laid back activities. From biking to rollerblading and from jogging to skating on in Gage Park, there is something for everyone around the downtown Brampton condos at Rhythm Lofts and condominium suites for sale. There are also great bars, restaurants, coffee houses and cuisine around the area, so experience the Brampton real estate condo market today in urban downtown living. There are a couple of phases in the eventual build-out of the downtown Brampton condos for sale at Mattamy Rhythm Lofts and the first launch will consist of a large fitness centre and yoga room complete with men’s and women’s change rooms, office space, mail drop off and concierge desk in addition to an impressive terrace deck for resident use only. In addition, the second phase of the amenities plan for the pre-construction Brampton Rhythm condos and lofts for sale will include the development of a few multi-purpose rooms with desks, chairs, lounges in addition to a card room and a media room. All of the pre-sale Brampton condo homebuyers will get private underground garage parking that has fresh air ventilation and parking ramps that are heated. All Mattamy homes at the pre-construction Brampton Rhythm condos will also have one underground storage unit per suite. The loft residences and Brampton pre-sale condos will feature high speed internet connections with individual suite electricity metering and pre-wiring for all things to do with technology. In addition, there are split receptacles above the kitchen counters, in suite hydro service panel and a ceiling light fixture in the bedroom and the entrance foyer as per plan. There is a bike storage and car wash station in the underground garage at the Mattamy Rhythm Brampton Condos and urban lofts fro sale in addition to centralized heating and air con cooling. There are two hotel style Mattamy guest suites and three fully serviced elevators in addition to a chic party room with oversized fireplace, bar, servery and outdoor terrace with gas BBQ here at the pre-construction Brampton Rhythm Condos and lofts. The community features include an integrated parkette, landscaped courtyard that is professionally designed and a play structure for children. Inside, the sleek and contemporary lobby entrance at the presale Rhythm Brampton condos and lofts will welcome you home. This unique twenty two storey Mattamy Brampton condo tower pre-construction project is designed by Graziani + Corazza Inc and will give the downtown Brampton real estate community a new look with glass, precast, metal and brick finish. The presale Rhythm Brampton condos for sale will introduce designer kitchens with quality Canac cabinets, laminate counters, breakfast bars, stainless steel sinks and new black/white appliances. The exquisite bathrooms at the new Rhythm Brampton condominiums suites will come with quality Canac cabinets again, white plumbing fixtures, chrome single lever hardware, full width vanity mirror, tiled soaker tub and shower combination as well as privacy locks. The living space at the presale Brampton condos at Rhythm by Mattamy will come with well appointed suite interiors with modern colour palettes, large windows, views, light, solid core entry door, laminate flooring throughout and ceramic tiling. Also available at the Mattamy Rhythm Condos in the downtown Brampton real estate market are crown mouldings and baseboards in addition to sliding entry doors, five panel swing doors, stippled ceilings and white latex paint. 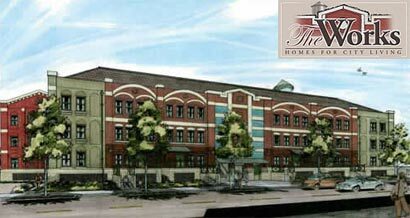 For more information about this new pre-construction Brampton condo development, please visit www.mattamycondos.com. Lifestyle apartments are now available at the waterfront Sarnia real estate development at the pre-construction First Sarnia Place condominium project. Featuring the first residential condo building of its kind in the city of Sarnia, the First Sarnia Place condos for sale are located along the waterfront district in this prized prestigious address. Just footsteps away from all the urban amenities and services of downtown Sarnia real estate district, the pre-construction First Sarnia Place condos are also within minutes to numerous parks, green spaces, Lake Huron and outdoor activities, making this a lifestyle community like no other. The first luxury First Sarnia Place waterfront condominiums, these apartments are extremely unique to the city and will most likely never be duplicated again. Located at 201 Front Street North Sarnia, the pre-sale First Sarnia Place condos for sale are located within the most sought after waterfront district. Originally designed as the centerpiece head quarters for Polysar Corp back in 1978, the building has now been transformed into a modern tower Sarnia waterfront condo residence that is redefining true urban living in this beautiful waterfront city. With custom interiors, spacious floor plans and true urban condominiums for sale, the pre-construction First Sarnia Place homes are created for you, the homebuyer in mind. With boutique shops, restaurants, services, amenities, recreational options, waterfront sports/activities and tonnes of trails around the waterfront Sarnia condos for sale, there is no better place to call home then the new First Sarnia Place condominiums. The condos were envisioned by a professional team of developers and designers that include Webb Zarafa Menkes Housden Parntership with Gilvesy Construction Limited, Malhotra Nicholson Architects, and Elizabeth Gilvesy Interiors. 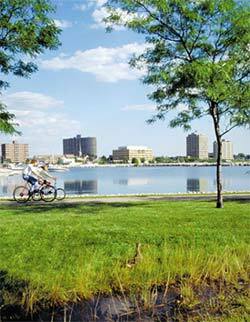 The entire Sarnia waterfront condo development will only offer a total of thirty eight beautiful residences. Also, there are five First Sarnia Place condo floor plans to choose from as a condominium buyer here. For more information about this unique apartment building in downtown Sarnia real estate market, please visit their sales and marketing website at www.firstsarniaplace.com. Starting off with the kitchens, the pre-construction Sarnia waterfront condos will feature such finishes including double stainless steel under mount sink with single lever faucets, premium built in microwave and built in dishwasher. Other appliances presented at First Sarnia Place condos for sale will include a convection range, free standing fridge (all in stainless steel finish) in addition to under cabinetry lighting, wood veneer or prefinished cabinetry as well as full height tiled back splashes. The other kitchen features of note include ceramic tiling or pre finished engineered wood floors as well as premium granite counter tops. The master bathroom ensuites at the presale Sarnia Waterfront condos for sale will include Kohler faucet with lever handle and white bathroom fixtures. 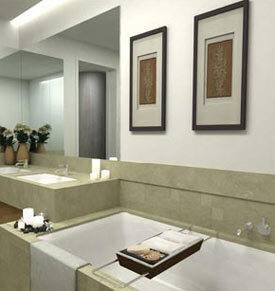 Other ensuite features include marble countertops, frameless glass shower door and capped outlet wall sconce lighting. The First Sarnia Place waterfront condos will also have stained wood veneer or prefinished vanities, frameless mirror over vanity, Kohler white soaker tub and marble/limestone/slate tiled floors (your choice). All suites at the waterfront First Sarnia Place condominiums will feature in suite laundry with front loading washer and dryer and with ceramic tiled floors. All homes are pre-wired for tv, cable, high speed internet, smoke/carbon monoxide detectors for your safety. In addition, all waterfront Sarnia condos for sale will have enterphone system, security access system and fire protection. The powder rooms at the pre-sale First Sarnia Place apartments will feature marble/slate/limestone floors, white pedestal sink, Kohler faucet and white bathroom fixtures. Some of the general condo features at the waterfront First Sarnia Place real estate development includes closet shelving, white flat latex paint, patio/terraces for outdoor entertainment spaces in addition to individual controlled heating and cooling in every unit. Also, the pre-construction Sarnia waterfront condos for sale will feature 50 ounce pile carpets in bedrooms, engineered hardwood floors in other living spaces and ceilings that are greater than eight feet and ten inches (close to 9 foot ceilings). There are coffered tray ceilings in the living room and entrance foyer in addition to recessed down lighting in many rooms. The waterfront First Sarnia Place condos for sale will also feature white horizontal blinds, seven foot solid core entry door and seven foot paneled interior doors in addition to six inch baseboards and 3.5 inch casings. The three First Sarnia Place penthouse condo floorplans are the most impressive and are also the largest residences. These waterfront Sarnia penthouse condominium feature the Spritsail two bedroom plus balcony suite with 2,253 square feet on floors 11-12 and have 2 balconies, 2.5 bathrooms, open style kitchen, separate storage/laundry room and lots of windows. The Stargazer Penthouse apartment at First Sarnia Place features 2,132 square feet and it too has two and a half bathrooms and two separate balconies and a huge pantry. The Seabreeze floor plan at the waterfront Sarnia condos for sale will feature a slightly smaller floorplan that is 1,924 square feet but still has a separate dining/breakfast seating area, library with fireplace and separate guest bedroom. The Haven layout is 1,658 square feet on floors 6-10 and features two bedrooms as well with 2 bathrooms and still a separate laundry room (not a closet). The First Sarnia Place condo floorplan Spinnaker is 1,557 sq ft while the Cove is 1,344 sq ft. Lastly, the Riverside First Sarnia Place waterfront condo floor plan features one bedroom and is a spacious one thousand one hundred and fifty square feet on floors six thorugh ten. For more information, please visit the on site sales centre located at 201 Front Street North, Sarnia, Ontario. You can also phone ahead at 519.337.0010 or send them an email at info@firstsarniaplace.com. The broker is Mel and the sales representative is Lindi. The developer is Riverdance Holdings Inc. while the architect is Malhotra Nicholson Architects and the Decorator is Elizabth Gilvesy Interiors. You can visit www.firstsarniaplace.com for all the floor plans, layouts and also the most current pricing for various suites. The First Sarnia Place waterfront condo model suites are now open Tuesday to Friday from noon to 2pm and 5-8pm as well as Saturday from 1-4pm. Here is the latest on the new Hamilton real estate investment opportunity at the unique hotel condo at the Hamilton Grand property under construction. Be part of a Hotel Business says their latest advertorial. Fully furnished one bedroom suites at the pre-sale Hamilton Grand Hotel condos for sale start from just $199,900, so get into an entry level Hamilton condo real estate investment for less than $200k! Suite condo owners share ALL revenue streams through this high end Hamilton Grand Hotel real estate development, which is much different from a traditional condo-hotel development where each individual owner or investor has to fend for themselves and amongst the many owners of individual suites. But not here! What’s included in this fabulous new Hamilton Grand Hotel condo opportunity for purchase? Daily hotel guests, extended stay monthly, long term leases and great venues for weddings, banquets with catering, business meetings and parking for hourly and monthly tenants. In addition, the pre-sale Hamilton condos for sale at the new Hamilton Grand Hotel real estate development will include twenty four hour room service, a lobby bar, dining room, news stand and twenty four hour coffee shop, providing excellent amenities to all tenants, visitors and business travelers. Also available at the pre-construction Hamilton condominiums at the Hamilton Grand Hotel condos for sale right now include spa and guest services, in room movies, phone, high speed internet and lobby retail for a five star experience. Maximize Your Cash Flow – How Does it Work at the Pre-Construction Hamilton Condos at the Hamilton Grand Hotel? The pre-sale Hamilton Grand Hotel is truly real estate investor friendly. The legal structure is simple: each Hamilton condo real estate investor has clear title to an individual pre-construction Hamilton condominium and the revenue split is unusually fair (90% to the Hamilton condo suite owners which is divided equally amongst all property owners). The Hamilton Grand Hotel condo units are not merely hotel rooms; they are all one bedroom apartments, with a kitchen, laundry, bedroom, living/dining room and a workstation/desk. The price for the pre-construction Hamilton condos at this Grand Hotel condominium includes a complete furnishing and décor package (plus linens, towels, china, and all amenities one would expect in a luxury five star hotel). In addition, Hamilton condo investors own more than just a suite. Investors in the Hamilton Grand Hotel condos also proportionately own the banquet and meeting rooms, dining room, lobby bar, café, retail and spa facility as well. Through a custom designed property management program, all the revenue streams and operational costs are pooled, with the surplus distributed equally amongst the Hamilton condo owners. In most other ‘condo-hotels’ in Canada, the condo and the hotel are actually separate; at the pre-construction Hamilton condo Grand Hotel, on the other hand, the condo IS the hotel, and the pre-sale Hamilton condo owners ARE the hotel owners as well. Think of it as a hotel with 190 owners. Because revenues and costs are pooled, a Hamilton real estate investor need not worry about anyone receiving preferential treatment. It does not matter how often a Hamilton Grand Hotel condo suite is actually occupied, the owner receives an equal share of the revenue. All pre-construction Hamilton condo suites at this property development are constantly maintained (and repaired immediately) by the hotel itself. What’s In It for Hamilton Real Estate Investors for these Presale Hamilton Condos? For a Hamilton real estate investors, the higher the cash flow, the better. Not only does higher cash flow offset expenses, but higher cash flow translates into higher property values here at the Hamilton Grand Hotel condominiums for sale. That’s why hotels are so appealing to large sophisticated investors in real estate, corporations and institutions. Let’s consider an example: if a condo suite is used as rental apartment, it might generate $800/month; however, if used as a hotel, the same property could generate $150/night (or 500% more in investment returns). Even factoring in vacancy allowances and costs (which would apply to both scenarios in Hamilton condo investments), hotels generate far higher revenues ‘per key’ while using much smaller spaces. On a ‘dollar per square foot’ basis, there is just no comparison between a regular pre-construction Hamilton condo investment versus the Hamilton Grand Hotel condo option. A hotel will also generate additional revenues from many sources, such as the banquet hall, dining, bars, a café, lobby retail sales, room service, long distances, movies and much more. In aggregate, the revenue per suite in the Hamilton Grand Hotel Condos usually averages several thousand dollars per suite per month. Unfortunately, however, for an individual Hamilton condo real estate investor, owning and operating a hotel is not a practical option. Now, the pre-sale Hamilton Grand Condo Hotel makes hotel type income possible for the individual Canadian real estate investor, and at an affordable price too. In 90 days, over sixty per cent of all the suites at the pre-construction Hamilton Grand Condo Hotel have sold! In an era of uncertainty, Canadian real estate investors appreciate ‘bricks and mortar’. One does not have to be an economist to appreciate the food and shelter are not temporary fads, and that an architecturally grand building, in a highly visible, city centre Hamilton real estate location (only one block from a commuter train station) will always have value. And compared to the ‘financial products’ offered on Bay Street and Wall Street, the Hamilton hotel business is timelesss and understandable. Not only is the pre-sale Hamilton condos at the Hamilton Grand Condo Hotel for sale a property investment that you can be proud of owning, but the experience is stress-free, with professional management on site ‘24/7’ and a monthly statement provided with cheque attached for your positive cash flow property. Meanwhile, you can sit at the lobby bar in your hotel… and watch the guests check-in. 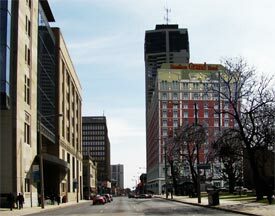 For further information regarding the Hamilton Grand Hotel Condo real estate purchase and investment opportunity in the best Hamilton real estate project, please feel free to visit the comprehensive website at www.hamiltongrand.ca. Special bonus for early condo buyers at the Hamilton Grand Hotel property is that five years of property taxes will be refunded. Visit www.hamiltongrand.ca or call 289.389.1022 for additional details about this ground level new Hamilton real estate investment opportunity that is brought to you by established and experienced developers. Located on beautiful Rhode Island real estate, the North Providence Geneva Mills condo real estate property features a great mix of old charm and modern urban living style located on Douglas Avenue and just minutes away from downtown Providence and the Place Mall. According to the great condo marketing materials for Geneva Mills Providence condos for sale, the loft-style apartments and commercial retail offices are located less than a mile away from Route 146 and Interstate 95 and the presale North Providence Geneva Mills condominium homes are also easily accessible by major transportation hubs and routes throughout Rhode Island real estate. The historic building is home to both loft-style presales Providence homes for sale as well as commercial retail businesses, that creates a community atmosphere all under one roof and stabilizes the Rhode Island real estate market to a point where you can live and work in the same neighborhood without having to take your car anywhere. The Phase 1 of the pre-construction Providence condos for sale at Geneva Mills residences will be between 1122 square feet in space and are now available to discerning Rhode Island home buyers. Each pre-construction Providence Rhode Island condo at Geneva Mills will have a washer/dryer (in suite laundry) in addition to dishwasher, garbage disposal, whirlpool bath and shower, high ceilings, and exposed wood beams and ceilings. The Phase 2 presales Providence Geneva Mills condominiums on Rhode Island property market will consist of 18 affordable one and two bedroom condos located on the first floor of the building. The homes for Phase II are now under construction and they are taking reservations for purchase today. This Providence Rhode Island development consists of two phases of condo homes with Phase 1 almost already sold out. The Phase 2 Geneva Mills condos start at 169,700 with 1 and 2 bedroom units available right now for immediate move-in and occupancy. Also, there is a state of the art Geneva Mills Gym a the master planned community and you can find out more online at www.genevamills.com. The loft style Geneva Hills North Providence condos for sale will be broken up into the following offerings at this Rhode Island real estate property: 15-1 bedroom units and three two bed suites that are between 859 to 1582 square feet with impressive over height 16 foot ceilings and some units with 20 foot skylights in the bedrooms. With functional and open floor plans and with choices for ceramic tiling, hardwood flooring and carpeting in the bedrooms in addition to video intercom, designer lighting packages and reserved parking, the Rhode Island Geneva Mills Providence lofts for sale are now available for reservations, so get on it today before the dream home of your choice is sold out. To contact them, visit the sales office of Geneva Mills Condos and Pre-sale Lofts at 1118 Douglas Avenue in North Providence Rhode Island today and you can contact Allyson, the sales rep here at 401.741.4708 as part of the Coldwell Banker Residential Brokerage as the preferred lender. There is a virtual tour of these new lofts for sale are online. 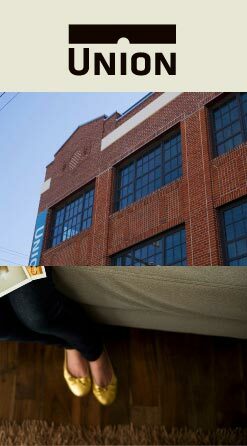 Remember that Phase 1 of the presales Providence Geneva Mills lofts is now complete, available and ready to move into. A location map by MapQuest is provided online too as is a slideshow photo gallery of the North Providence lofts for sale. The Geneva Mills second phase presale Providence condos for sale are now available and the floor plates are online. You can see that many of the North Providence loft units are quite lengthy and spacious in addition to being functional so that no space is wasted on the inside. The pre-construction Providence Geneva Mills condos now have official pricing too and they range between Unit #101 one bedroom at $169,900 and with money HOA fees of $88.80 and 894 square feet to Unit #117 at $239,900, $113.20 HOA monthly fees and 1294 sq ft. The Phase 2 two bedroom lofts for sale range between Units #116 at 1460 sqft and $279,900 to Unit #103 at $299,900 and 1582 square footage and $145.34 monthly fees. The Phase 1 pre-sale Geneva Mills Rhode Island lofts for sale are available online too. According to the web site, only six units remain in Phase One. These include Unit #207 on the second floor at $274,900 and $149.30 monthly fees and a square footage of 1496. The third floor of the Geneva Mills North Providence loft units include Unit #301 at $319.900 and 1500 and two sq ft and Units #303 to 306 at $295,900 and 1496 sq ft. All available are two bedroom suites. Visit our Urban Condo Living Home Page for more info about new and exciting Canadian apartment condo projects. Reverse Auctions on DubLi.com - Try DubLi Shopping Online Today with Free Credits available. Assisted Living Reviews, Nursing Home Care and Retirement Communities Information.